Do you have a product but need a custom package? We can help bring your product to market. Ready to proceed with a project? Send us your files and we'll get right on making your bringing your custom project to life. Do you have the need to store and ship your product? 1 box or multiple truckloads; we can help. Welcome to AP Navitus of Rumford, RI. We are a full service business support firm, we specialize in everything from graphic design and print, to fulfillment, packaging, product manipulation, including storage, pick, pack and pull along with warehousing and shipping. We are dedicated to the highest standard of quality and customer service. 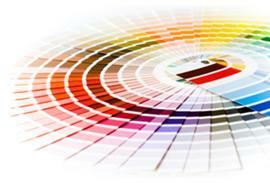 With professional design and printing, our brochures are sure to make an impact. From the big idea to the small details, our team has years of experience to get the job done. AP Navitus offers a wide array of brochures, catalogues and other forms of printed collateral to enhance your company's marketing efforts and increase ROI. 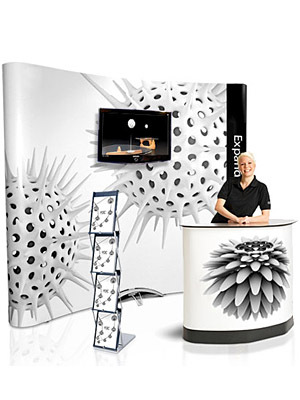 AP Navitus offers a full line of portable, custom-modular tradeshow displays, graphics, bannerstands and accessories. Let us help you create dynamic selling environments that drive traffic to your exhibit at tradeshows, events and conferences. AP Navitus offers a number of retractable and non-retractable bannerstands for tradeshows, events and retail spaces. These sleek, streamlined units are user friendly and fit into most selling environments. Your brainchild is our inspiration. We make it reality. Let's combine our design and manufacturing skills with your great product and ideas. With unmatched personalzied service, we can take your project from concept to completion. We will become your partner from just an idea in your head all the way through to product shipment directy to your customers. Since our humble beginnings our mission is to provide incredible personalized service. As the world has evolved and changed so has our business. We offer a wide array of products and services, from all forms of communications including printing, large format graphics, mailing services, fulfillment, packaging design through product insertion, warehousing and logistics. Our team of professionals can handle every aspect from the beginning of the thought process through the actual product shipment. It is common for our customers to view us as a critical partner in their value stream. Located in New England brings us very close to major populations within the Northeast and in turn saves on freight costs. An easy-to-use pull down menu, search engine, and link to our contact form appear on each page. Also, feel free to consult the site map at any time if you're having trouble locating a particular item. At AP Navitus, we help our clients gain Direction for Success!